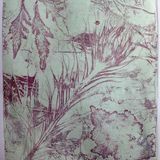 Monoprinting is an addictive process and results are instantaneous. 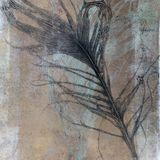 We will be working with leaves and feathers (mostly from the garden, but some I will provide - feathers, etc…). We will be making direct impressions of the objects and building up layers of texture and colour using ink on a special plate. The process involves printing on paper without a press using a Gelli plate (a relatively new invention, the Gelli plate’s ease of use and super sensitive silicone surface picks up the finest of detail and is instantly gratifying. You will be amazed at what you can achieve). This is a very simple process, and once you have mastered a few techniques, the world is your oyster in terms of developing your subject matter and skills further. There is no drawing involved and no previous experience is necessary. 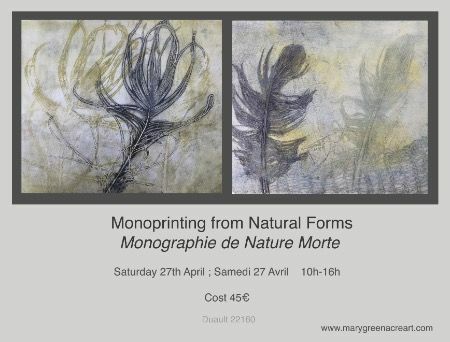 This is an introduction to monoprinting, with more advanced skills and techniques in my follow-up workshops. During the course of the day I will demonstrate and teach different techniques involved in this process. To find out more about this process, type ‘Gelli Printing’ into your search engine - there is loads of information and inspiration out there.